This was my first street rod. 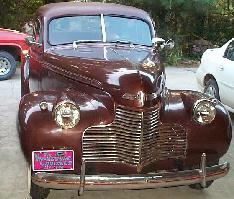 It was a 1940 Chevy 2 Door Sedan. I bought the car in 2000, turned it into a street rod, and sold it in 2010 after putting 27,000 miles on it. Here is a page where you can see how it started from an all original car and how it has progressed into a street rod.